Looking for a good side dish to bring to a party? 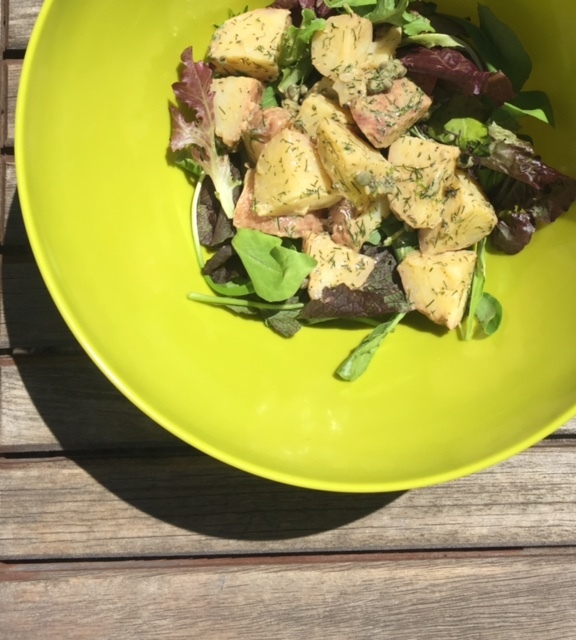 Love potato salad but wanting a healthy alternative? 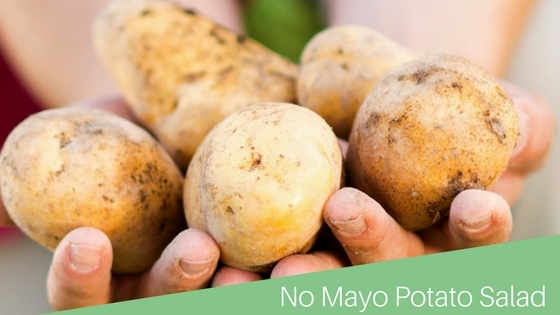 Try this tasty, no mayo potato salad. It’s simple, healthy and damn good! Cut potatoes into bite size pieces, around fourths. Boil around 2 inches of water in a pot with a lid, place potatoes in vegetable steamer over boiling water and cover. Potatoes should take around 15 minutes to cook. You know your potatoes are done when you can put a fork through them. Once finished run under cold water to cool down. Combine capers, dill, mustard, potatoes, lemon juice, olive oil, salt and pepper in mixing bowl. Toss well. Serve potato salad over bed of greens. Can serve warm or cold. Side note: Turn your left over potatoes into a tasty dinner with this Red Potato Bone Broth recipe. Cook once, eat twice to save time and money. Want more tasty, clean recipes? Check out our FREE 7- Day Clean Living Challenge! Full 7 day meal plan included. Click HERE to sign up.